Sydney thinks she's found the perfect solution to her stalled love life: a Singles Week at a tropical resort. The resort turns out to be everything Sydney had hoped for, except for the accommodations. Due to a hotel mix-up, she's been assigned a male roommate, Jesse. Jesse has come to the island to celebrate his buddy's bachelor party. Problem is: his friend is marrying Jesse's ex-fiancee. Deciding there's still a week of fun in the sun to be had, Sydney and Jesse agree to make the best of it. What neither of them is expecting is chemistry between them as hot as the weather outside. Just when things are really heating up, Jesse's ex arrives to tell him she's considering calling off the wedding. 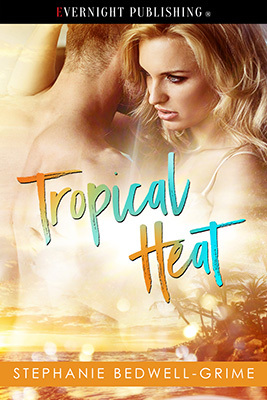 Will Sydney and Jesse's relationship survive or will it wither under the tropical sun?